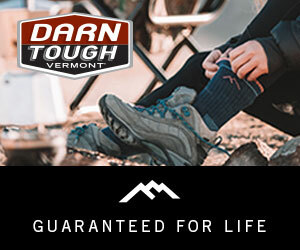 MBT Women’s Meru Recovery Sandal, MSRP $90. Whichever of those three key words you feel best describes a “chill out” footwear of choice, the recovery market has it covered. 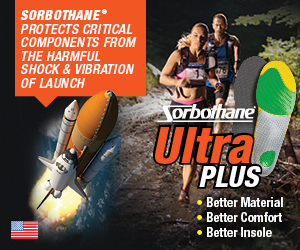 Brands in the recovery game say that the target market for recovery footwear is moving beyond athletes and designs are following suit. Not only is recovery footwear getting more technical in its comfort offerings, but crossover styles – think “knit uppers” and on-trend sandal silhouettes – are also gaining ground. So who exactly are the key consumer groups purchasing recovery footwear? 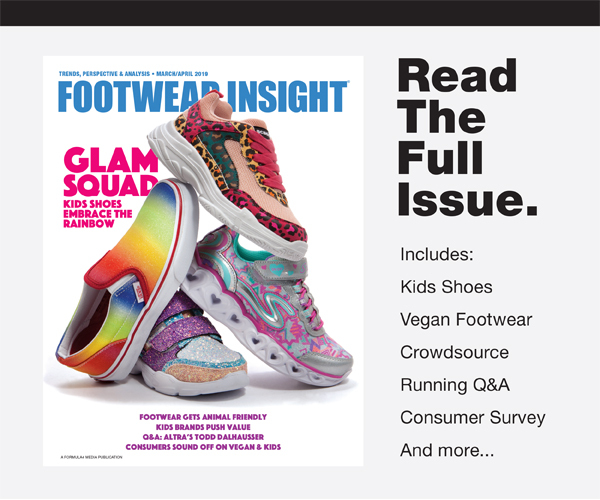 For Oofos, which has been a leader in the recovery footwear category since the brand launched in 2012, the core consumers are “runners, fitness enthusiasts, active individuals and athletes,” says Duncan Finigan, marketing head. 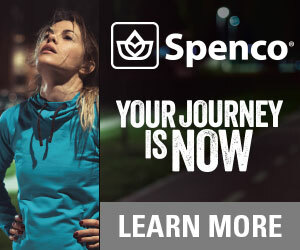 “Our recovery sandals and slides service the athlete who wants to kick off their walking, running or cleats after a hard workout or practice,” says Doug Gordon, interim president at MBT. 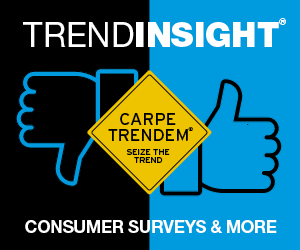 “They are trend-right, so they are also perfect for the consumer who just wants to wear them for comfort. Sole Mateo Slide, MSRP $75. Oofos’ proprietary OOfoam technology is now available in a range of styles beyond flips and slides, including booties and boots. 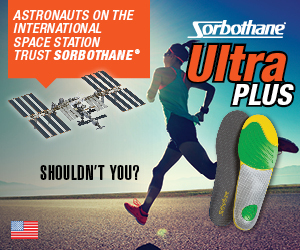 Backed by research at the UVA labs, the brand’s footwear is designed to help reduce stress from the feet up. 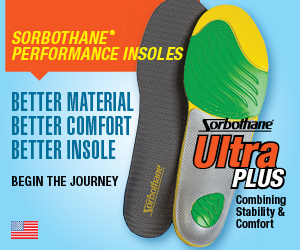 A patented footbed provides added arch support to take the pressure off the ankles, knees, hips and lower back. 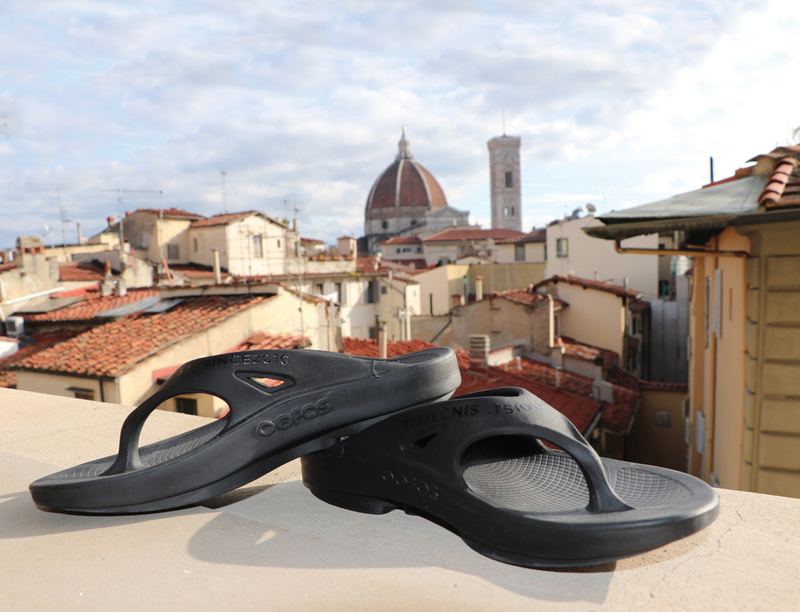 Additionally, Oofos footwear is designed to flex with the foot and the ground, enabling a more natural walking motion, which enhances recovery. 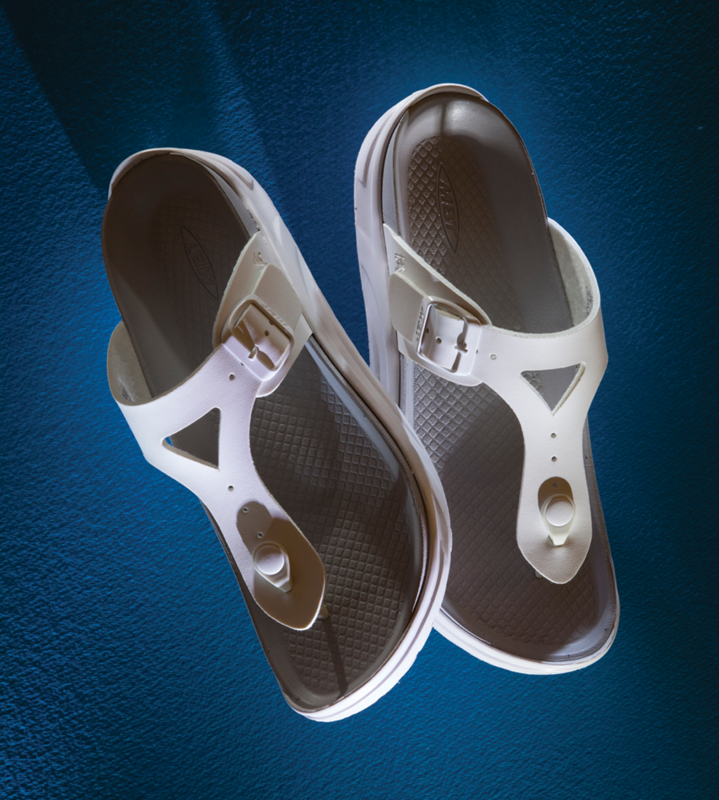 Key Oofos styles for 2019 include the OOlala Geo ($64.95), a sandal with an on-trend geometric design that features OOfoam impact-absorbing recovery technology; the OOmg Fibre ($129.95), an extension to the OOmg shoe series with OOfoam impact-absorbing recovery technology and an upper that features OOtex Fibreflex, a durable textile weave that will stretch in all directions to allow the foot to move in its natural motion; and the OOmg Boot ($199.95) and Bootie ($179.95) with OOfoam impact-absorbing recovery technology and DWR treated, lightweight, durable, quilted uppers. 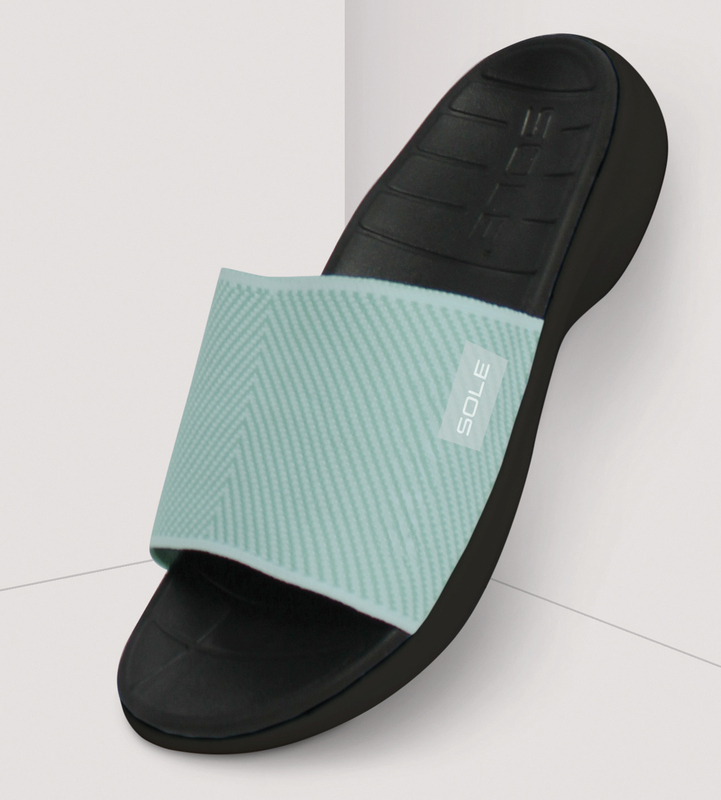 The Spring 2019 footwear line from footwear and orthopedic brand Sole includes the Mateo and the Mendocinio — both a fit for anything from recovery wear to relaxing on the beach or casually strolling around the neighborhood. The $75 Mateo has a tightly woven knit upper adding structure and ensuring a secure fit. The $70 Mendocino is an update to Sole’s best-selling slide to date, now offered with more adjustability in the straps. The Sole line in 2019 includes 12 new products, several designed with 100 percent recycled cork footbeds made with recycling partner ReCORK. Sole’s vision is to pioneer a closed-loop manufacturing process by reusing natural wine corks, a sustainable and renewable resource that has been underutilized in the past. 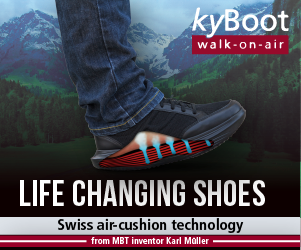 Features of the footwear also include anti-odor, natural splay, splash-friendly and earth-friendly materials, along with supportive arches, metatarsal pads, and deep heel cups to promote natural foot alignment and reduce discomfort caused by plantar fasciitis and other common orthopedic conditions. New Balance’s Spring 2019 NB RCVRY shoe is a slip-on style that has a massaging footbed, an ultra-soft Cush+ midsole and a foot-hugging, full-mesh upper. 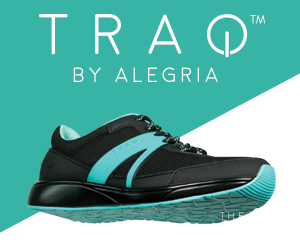 The target market includes not only athletes looking for recovery comfort, but also non-athletes looking for an easy, lightweight day-to-day shoe. The machine washable NB RCVRY is lightweight and features no-tie laces. A “suspension arch” and a special “arch support system” pampers the foot with natural cushioning and hugs your arches and supports natural alignment helping increase circulation to the arch, notes Gordon.